For many years George Mackay Brown wrote a weekly column in The Orcadian, and this book is the second of four selections from the column which have been published in book form. 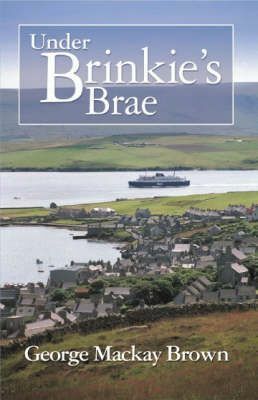 Under Brinkie's Brae was published in hardback in 1979, and this is the first paperback edition to appear. These selections from George Mackay Brown's long-running column offer more of his honest opinions, perceptive descriptions and evocative writing. Managing to be both matter-of-fact and highly individual, they are a breath of fresh air from Orkney.